The FINAT RADAR provides a convenient and up to date ‘radar screen’ to monitor trends and developments relevant to the European label and narrow web business. Each edition of the report carries the results of a number of parallel surveys covering different segments of our industry’s value chain. Core of the report is the state of business in label conversion, and for this purpose an online survey is carried out amongst converter members. Parallel to the converter survey, LPC conducts a survey amongst a representative sample group of brand owners and end-users of labels and narrow web solutions. Additionally, each report contains an overview of trends and developments per region in the demand for self-adhesive materials as well as equipment installations, as indicators of consumption and investment inside the industry. Finally, the closing chapter of the RADAR is always dedicated to a topic of special interest. 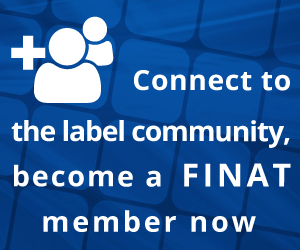 The FINAT RADAR offers you a full 360˚ scan of the industry and its markets. The statistics are produced by market research agency LPC, in collaboration with the Industry Trends Subcommittee chaired by Ferdi Rüesch, co-chaired by Karl Fust and supported by our Managing Director Jules Lejeune. Are Digital Presses Taking Market Share from Conventional Press Systems? Brand Owners and Packaging Buyers: How Much Are They Enforcing Digital Print Supply Channels?